This article was originally posted on SearchEngineLand and was written by Danny Sullivan. 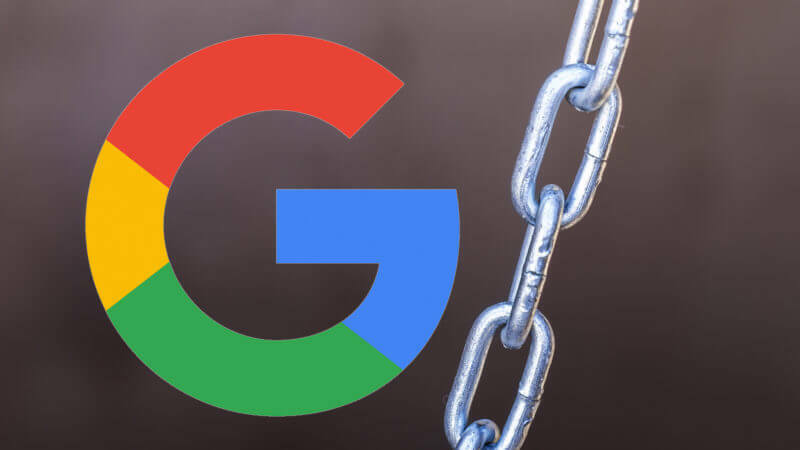 Google’s out today with a warning for anyone who is distributing or publishing content through syndication or other large-scale means: Watch your links. For websites creating articles made for links, Google takes action on this behavior because it’s bad for the Web as a whole. When link building comes first, the quality of the articles can suffer and create a bad experience for users. Those pushing such content want links because links — especially from reputable publishers — are one of the top ways that content can rank better on Google. There are two safe ways for those distributing content to stay out of trouble: using nofollow on specific links or the canonical tag on the page itself. Nofollow prevents individual links from passing along ranking credit. Canonical effectively tells Google not to let any of the links on the page pass credit. Sites accepting and publishing such articles should carefully vet them, asking questions like: Do I know this person? Does this person’s message fit with my site’s audience? Does the article contain useful content? If there are links of questionable intent in the article, has the author used rel=”nofollow” on them? In other words, publishing content unquestioningly, in terms of links, could expose the publisher’s site to being penalized in Google. Today’s warning from Google is generally the same as what it issued back in July 2013, when it cautioned about links in large-scale guest posting, advertorials, sponsored content and press releases. However, it’s more specific in terms of syndication and comes because of an issue that Search Engine Land has been investigating over the past month. Search Engine Land has a policy of generally not writing about cases of spam or suspected spam that aren’t already public in a significant way. Our open letter from 2014 explains this more. In short, if we did this, that’s all we would ever be writing about. That said, we received a tip about several businesses using article syndication that seemed worth taking a closer look at, given that the tactics potentially violated Google’s guidelines in a significant manner. Moreover, Google had been notified of the issue at the end of last year, twice, but had not apparently taken any action. The company tipping us — a competitor with those businesses — was concerned. Was this tactic acceptable or not? The many examples I looked at certainly raised concerns. Articles were distributed across multiple news publications. The articles often contained several links that were “anchor rich,” meaning they appeared to have words within the links that someone hoped they might rank well for. Mechanisms for blocking these links from passing credit were not being used. Google’s initial response to our questions about this was that it was aware there were issues and that it was looking to see how it might improve things. That seemed a weak response to me. It was pretty clear from my conversations with two of the companies distributing the content, and one of the publishers, that there was, at the very least, confusion about what was acceptable and responsibilities all around. Both the companies producing content professed that they felt they were doing nothing wrong. In particular, they never demanded that publishers carry any particular links, which seemed to them to put them on the right side of the guidelines. One also said that it was using canonical to block link credit but that the publishers themselves might be failing to implement that correctly. Both indicated that if they weren’t doing things correctly, they wanted to change to be in compliance. In short: it’s not us to blame, it’s those publishers. And from the content I looked at on publisher sites, it was pretty clear that none of them seemed to be doing any policing of links. That was reinforced after I talked with one publisher, which told me that while it did make use of nofollow, it was reviewing things to be more “aggressive” about it now. My impression was that if nofollow was supposed to be used, no one had really been paying attention to that — nor was I seeing it in use. In the end, I suggested to Google that the best way forward here might be for them to post fresh guidance on the topic. That way, Search Engine Land wasn’t being dragged into a potential spam reporting situation. More important, everyone across the web was getting an effective “reset” and reeducation on what’s allowed in this area. Now that such a post has been done, companies distributing such content and publishers carrying it would be smart to follow the advice in it. When Google issues such advice, as it did about guest blogging in January 2014, that’s often followed by the search engine taking action against violators a few months later. If a link is a form of endorsement, and you’re the one creating most of the endorsements for your own site, is this putting forth the best impression of your site? Our best advice in relation to link building is to focus on improving your site’s content and everything–including links — will follow (no pun intended). Bottom line: Deep down, you know if you were putting out this content primarily to gain links. If that was the case, you should work with those publishers to implement nofollow or canonical. If you can’t, then you should consider disavowing links to Google. Going forward, I’d look to implement nofollow or canonical as Google recommends, if you find that the large-scale distribution is bringing you useful direct clicks and attention. I will say that no one should take this to mean that you can never distribute content or that content can’t have any links at all that pass credit back to an originating site. Indeed, we have plenty of contributed content here on Search Engine Land. I’d be among the first screaming at Google if I thought it was trying to tell us or anyone that you couldn’t have such content unless you blocked all links. Things that make us feel Google-safe are that, most of all, we publish original content from contributors. It’s not the same content that’s simply dumped into multiple publications. Also, we have editors who often spend a significant amount of time working with writers and content to ensure that it’s publication-worthy. And we do try to watch for links that we don’t feel are earned or necessary in a story. We’re not perfect. No publisher will be. But I think from a publisher perspective, the more you are actually interacting with the content you publish to review and approve it, rather than blindly posting from a feed, the safer you will be. If you haven’t been doing that, then consider making use of nofollow and canonical on already-published content, as Google recommended. Webmasters generally prefer not to receive aggressive or repeated “Post my article!” requests, and we encourage such cases to be reported to our spam report form. Indeed. It’s amazing how many requests that we’re getting like this each day, and I know were not alone. It’s even more amazing when this type of guest blogging was supposed to be over. “Stick A Fork In It, Guest Blogging Is Done,” declared Matt Cutts in January 2014. Cutts, no longer at Google, was then the head of its web spam fighting team. His declaration was a shot heard around the web. Guest blogging almost became radioactive. No one seemed to want to touch it, much less send out idiotic bulk emails requesting a post. Those requests are back in force. It’s a pity that so many come from Google’s own Gmail system, where all Google’s vaunted machine learning doesn’t catch them as the spam they are. If you’ve been making such requests or accepting guest blog posts because of them, even in small scale, Google’s rules about policing links still apply.